Yanela Brooks sings Marbella Marbella | Marbella Marbella – Adelante! Marbella’s woes in recent years have been well-documented, but the Spanish capital of glamour is back with a vengeance. 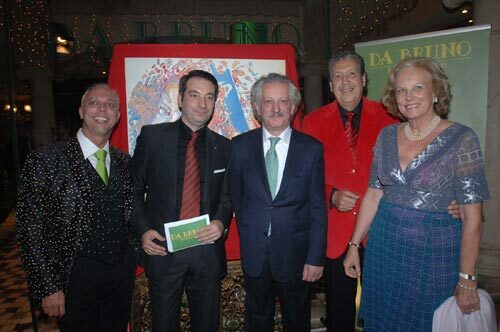 One of the most recent, and empowering, initiatives aimed at restoring Marbella’s prestige was the A Night for Marbella event at the Da Bruno Sul Mare restaurant, which coincided with the official presentation of a song specially written for the occasion, Marbella, Marbella. The original song was written by author, artist, musician and composer Dario Poli. He and his sister Delia were joint winners in major British talent TV show in 1977, and the duo went on to perform around the world, working alongside such stars as Olivia Newton John, Dave Allen, Buddy Greco and Bruce Forsythe. To date he has written more than 200 songs,and co-wrote Lady X and the Power of Destiny a two-act musical drama, loosely based on the late Diana, Princess of Wales which was created before her death, registered in Marbella, recorded in Dublin by a symphony orchestra and singers (some from Riverdance) and produced by Richard Pine. At the end of 2008 record producer and musician Roberto Danova released the CD Nostradamus, co-written with Dario, on the Plaza Label, featuring guitarist Steve Z.
Poli’s “fight to defend the reputation of the Costa del Sol” began in Sweden in April 2007, when he saw a CCN TV documentary on Marbella and the Costa del Sol which “painted a very negative image”. “Outraged by the one-sided depiction”, he decided to write the music for a song, Marbella, Marbella, expressing his affection for the town and the Costa del Sol. 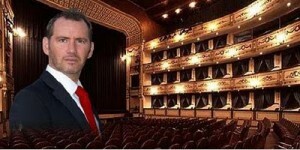 He registered the music and title in Malaga then added the lyrics with singer Alan De Ward. Scottish arranger and producer David Mairs recorded De Ward in his studio in Fuengirola, as well as a version with singer Samantha Mairs. Keen to engage Spaniards in the campaign, he was introduced to Marbella-based Cuban singer-pianist Yanela Brooks by Princess Marie-Louis of Prussia. Yanela offered to write the lyrics in Spanish, and co-arranged this version with her husband, top Spanish session and touring band guitarist Juan Calleja. In February this year Yanela presented Poli with a basic recording of the song in Spanish, including the new musical arrangements and, with the help of Danish artist Mugge Fischer (Artenovum), who designed the CD cover, they decided to organise an event that would formally present the song and campaign. After hearing the song and concept, Bruno and Giuseppina Filippone offered to support the campaign by hosting the launch of “Una Noche Para Marbella” at their Da Bruno Sul Mare restaurant.